The powerful new form of healing practiced by 70,000 people in 60 countries to heal themselves, heal others and heal their loved ones is now being applied to alleviate the suffering of animals. People who formerly felt helpless in the face of their pet, horse or farm animal’s pain and anguish are now singing the praises of Reconnective Animal. Even veterinary and other animal healthcare professionals are jumping on the bandwagon. Renee Coltson was a Reiki practitioner before meeting Dr Eric Pearl in 2000. 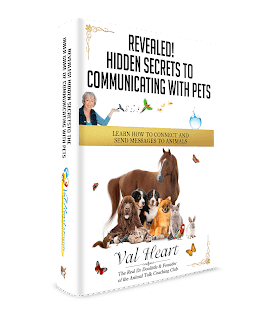 But after attending his life changing seminar, she knew she had to change her practice to facilitate reconnective healing with people and animals. Reconnective Animals takes the knowledge gained from Reconnective Healing–which uses energy, light and information via a new, more comprehensive spectrum of healing frequencies to bring the human mind, body and spirit into total balance and applies it to animals to restore them to a state of wellness. Often you can see immediate results in animals we have interacted with in terms of freedom of movement, said Rene Coltson, International Director of the Reconnective Animals program and a Phoenix resident. Sometimes the healing becomes more apparent over time a shift in attitude where the animals appears more lively and approachable, or perhaps becomes more venturesome and willing to be active. As with humans, it is different with each individual animal. But animal owners continue to encourage us to come back and those who learn this work are exceedingly grateful for what it does for their beloved creatures. A case in point is the Gentle Barn, a sheltering facility in Southern California that serves as abused animal refuge. Ellie Laks, founder the Gentle Barn calls Reconnective Healing on her animals a miracle. A roping cow, Delilah, had come to the facility after being roped so hard that it had broken her pelvis. She escaped to run down a main highway, being side swiped by cars. When she arrived at the Gentle Barn, she would not allow any human to come near her, cowering in fear and rebelling against the species that had caused her such pain. Only a non-invasive form of healing could even be considered. Enter the healers from the Reconnective Healing program in Los Angeles. Here’s how Laks described what happened: The morning before they came, Delilah was hobbling along, barely able to walk. The night the Reconnective Healing practitioners arrived, one of them stood near her, holding their hands facing her. The next morning I could not believe my eyes when I saw her, not only walking, but running around with no limp! Since they were here, Delilah has been pain-free and sound. She will now approach us and even eat out of our hands. She has come so far, so fast and it’s all because of Reconnective Healing. Interestingly, Reconnective Animals was inspired by the compassionate desire by Renee and other Reconnective Healing Practitoners to help those animals made homeless by Hurricane Katrina. It was in the aftermath of the disaster that Reconnective Animals was born. Rene Coltson leads the Reconnective Animals programs in Phoenix. By learning to act as an intermediary for this new bandwidth of energy, light and information, newly-trainedReconnective Animal healers can affect greater health and more peaceful attitudes with household pets, horses, farm animals, and even rescued wildlife. 1. What is Reconnective Healing and who is Dr Eric Pearl? 3. How is Reconnective Healing different with animals than it is with people? 4. What sorts of healings have animals had after a healing session? 5. Why do you believe animals play a part in the evolution of humanity and the planet.